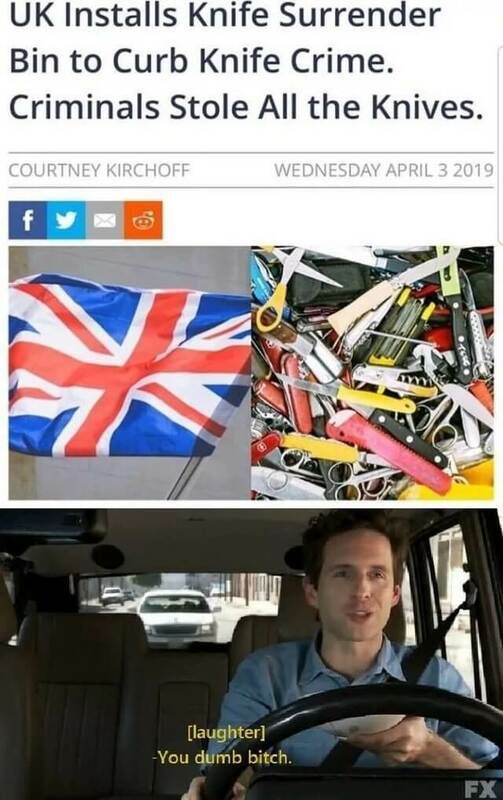 Is that a butter knife in there? Nail scissors are knives now? Who knew? Don’t forget the set of allen wrenches. Yeah one bin in one town that has multiple bins put out. The UK has very frequent k life amnesties to try and lower the increasing knife crime we’re suffering lately. Most of the time it’s a highly successful campaign.